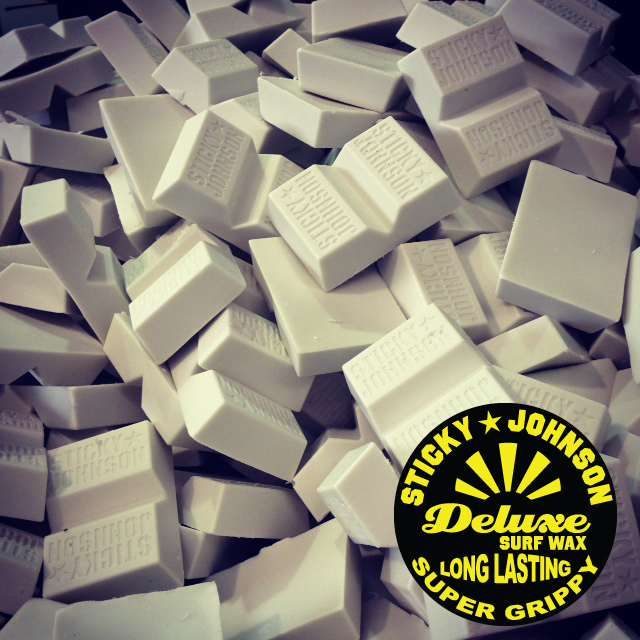 Sticky Johnson Surf Wax was born from the passion we have for surfing. The desire to have the best, be the best and perform the best. Sticky Johnson Deluxe Surf wax has been scientifically engineered to out perform all other wax’s. We have bench marked SJ against some of the biggest known wax labels in the world and with modern science and ingredients we have produced our Deluxe formulation which has been manufactured to outperform the competition on stickiness, longevity, grip and ease of application. We are constantly spending hours in the lab and in the surf testing new ingredients and striving for excellence.. Any excuse to go surf!! Grab a block today and Go Rip.